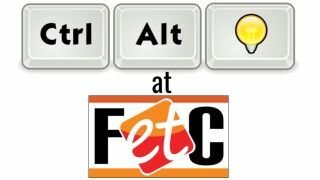 I am excited and honored to be presenting at the Future of Education Technology Conference (FETC 2019) in Orlando, Florida this January 27th through 30th. Below is a list of sessions I will be presenting at FETC 2019, along with any associated resources. Please feel free to join me for any of these sessions. I look forward to sharing, learning, and chatting with you! Session Description: Everyone knows about Google Docs, Gmail, Search, and other common Google tools. But there are also loads of smaller, lesser-known, but powerful tools. Learn about hidden gems such as nGram, Trends, Web Fonts, AutoDraw, Tour Builder, Toontastic, Canned Responses, Smarty Pins, Poly, Office Editing, Reverse Image Search, Instant Search Cards, Mystery Animal, Science Journal, Semantris, Grasshopper, Art Palette, and more (list subject to change based on how cool and unknown the tools remain). You’ll leave with a much larger tool box than when you walked in the door. Session Description: As educators, we are always looking for better ways to connect with our students, especially when providing feedback on their work. In this session, we will explore four fantastic tools to provide feedback that is more detailed, engaging, and personal. Tools will include Google Doc text comments, voice comments with Read&Write for Google, video feedback with Screencastify, and natural handwriting feedback with the Google Classroom mobile app. Session Description: Looking for ways to techify your literacy activities? In this session, we will explore several engaging hands-on literacy activities that use features built right into Google Docs. These will include improving reading comprehension with Google Docs "Black Out," writing interactive "Choose Your Own Adventure" stories in Docs, summarization skills with the word count tool, and fun ways to use emojis in Docs for reading and writing. Session Description: Google Drawings is part of the Drive suite of tools but is often overlooked. However it is a fantastic program for student learning and teacher instruction. In this session, we will cover the basics of how Drawings works, and then we will look at dozens of practical examples of how it can be used in schools, including graphic organizers, math manipulatives, desktop publishing, interactive digital posters, drag-and-drop poetry, and more. Session Description: There are many tools, apps, extensions, and features available for Google Chrome to assist struggling learners and students with special needs. This can include students with vision or hearing impairments or challenges with reading, writing, organization, and more. Learn what tools are available and how to access and use these with students. Session Description: Google's Tour Builder is an easy-to-use but powerful tool for students to create virtual tours, including locations, images, videos, descriptions, hyperlinks, and more. These tours can be used in any subject area, such as retelling the events from a novel, tracing the locations of a historical event, visiting different biomes or landforms around the world, and more. Tours can be viewed by others in Tour Builder or even imported into Google Earth for a full 3D experience. Learn how you and your students can make and take virtual tours with Google Tour Builder.